Only one CPYC boat ended up participating in the first Westpoint Regatta sponsored by Sequoia Yacht Club unfortunately on the same date as our own club race. 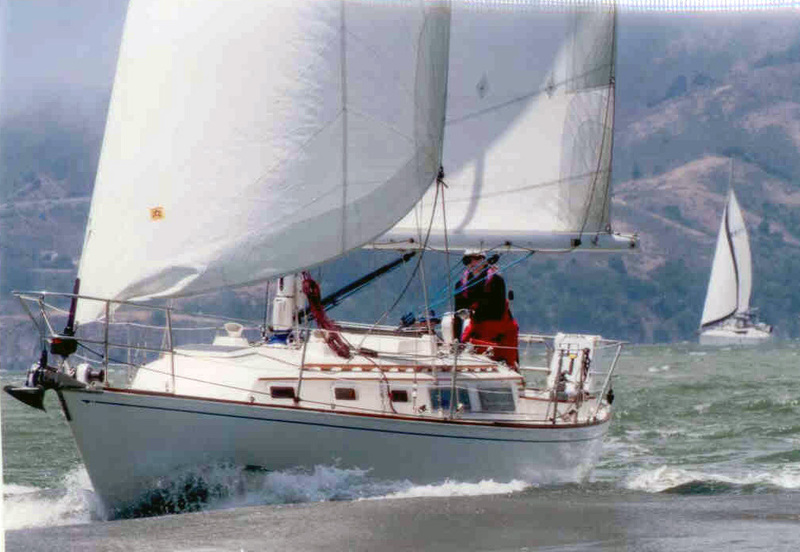 The race began off Treasure Island, around Alcatraz then downwind to the Redwood City channel. There were around 60 participating boats. Liquid Asset finished 4th in her class. The race photo shows the wake of the freighter we ducked in the foreground and its shadow on the mainsail! Leslie Few is seen working the mainsheet.